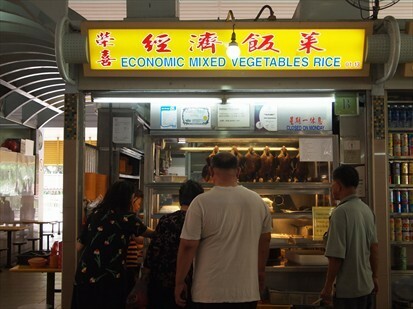 It was a raining afternoon and we wanted something warm and i thought of this teochew porridge. I was there at about 11.45 am when they just opened. There was already a queue of about 6 people in the line and i decided to join in. Most of the customers seemed to be their regulars as they do know what to order. This was my first time eating there so i decided to follow suit. I waited for about 10 minutes to place my order. 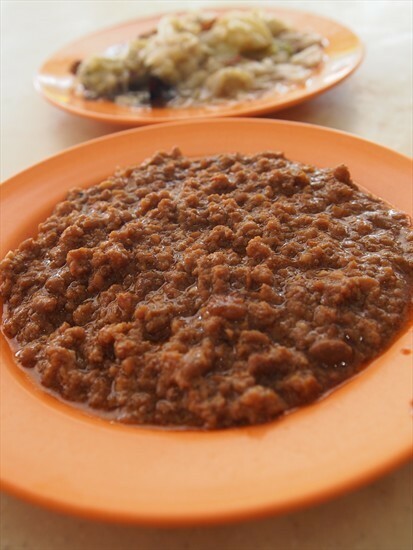 I ordered 2 bowls of white porridge, a plate of braised meat, a platte of tau kwa and tau pork, a plate of minced meat with fermented beans as well as a plate of braised cabbage. All the dishes were for 2 pax. When done ordering, i left them with my table number then helped myself with the spoons and chopsticks. 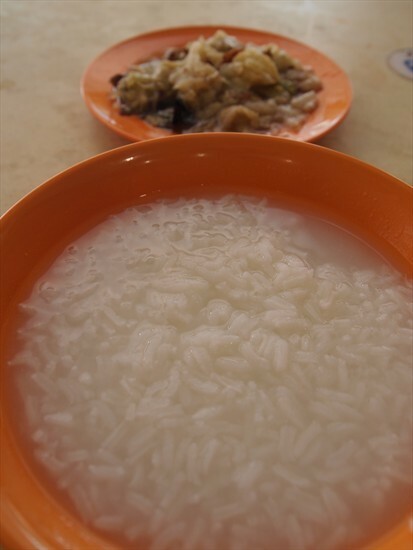 If you do not like porridge, they do have rice as an option as well. I only paid a total of $7.00 for all the dishes and the 2 bowls of porridge. All the dishes and the porridge were served by a nice auntie right after i seated down at my table. The braised meat was very well-braised to give it the right texture and the flavor. It might looked rather fat but it did not taste too oily at all but rather soft and tender. The portion give was rather generous. The tua kwa and tau pok seemed to be a popular choice as almost every customer ordered it. Though it tasted just average but it went really went with the plain porridge. 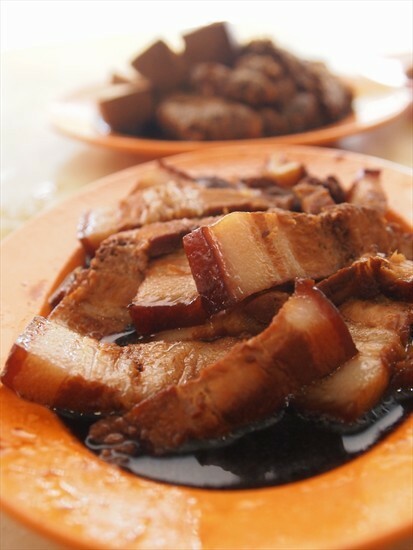 My favourite amongst all the dishes gotta be the mined meat cooked with fermented beans. 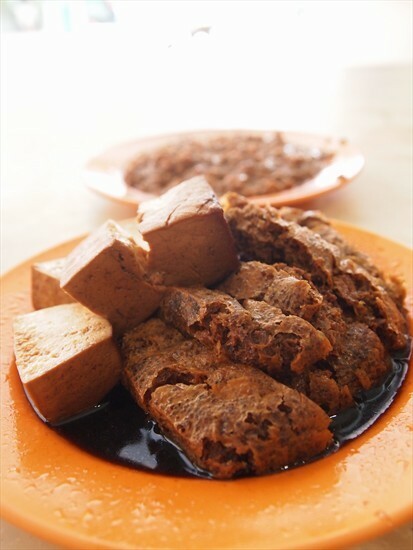 It is a very homely dish, something that most families will cooked at home to go with the porridge. It was a little saltish if eat it on its own but the saltiness tasted just right when have it with porridge. And that dish alone was good enough to finish 2 bowls of porridge. My partner went back to get another bowl of porridge for 0.50 cents. The braised cabbage was my another favourite and i had it all by myself as my partner does not like eating cabbage at all. The cabbage was well-braised to obtain the desired softness with a distinctive taste of dried shrimps. Some people like it if they prefer a crunchier version. It was a satisfying lunch and i will definitely be back more often. Block 341 Ang Mo Kio Avenue 1 #01-13 SINGAPORE 560341.